We want you to feel prepared and confident when you visit Warren Chiropractic Center. When you walk into our office you’ll find a comfortable, relaxing, and family-friendly environment and a health care team that cares about you as a person. Your children can enjoy our play area with their own special games and children’s videos. Our focus is on you and making this experience a great one! On your first visit we’ll ask you to complete our new patient paperwork. This paperwork will help us understand your concerns and health goals. After the paperwork and any necessary insurance is taken care of we’ll move on to the following. First visit duration: approximately 60 minutes. By your second visit to our office, the doctor has thoroughly reviewed your X-rays and postural evaluation and is ready to give you the results in a report of findings. We will also review financials with you on this visit. 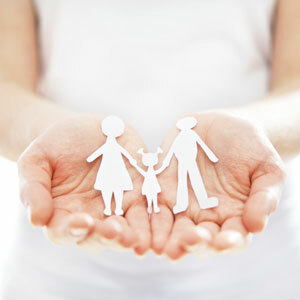 We take most insurance plans and have additional in-house financing options available. This visit is when Dr. Warren explains what he’s found and gives you customized exercises and recommendations for chiropractic care to re-shape your spine and allow your body to heal. Together we’ll discuss our gentle adjustment methods, how you can accomplish your health goals and address any other health concerns you may have. Second visit duration: 30-45 minutes. We want you to move towards wellness care even after we’ve helped your body to manage the pain and other primary concerns. We won’t advise any excessive or unnecessary care to our patients. Our patients usually choose to keep seeing us after their pain has been managed because of the health benefits they experience. Not only do they continue seeing us, but our patients also refer new patients to us all the time. Duration: 10-30 minutes, depending on the your health care plan.